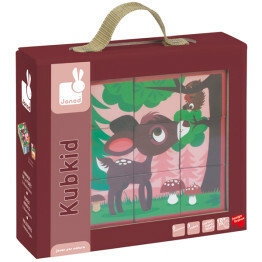 Tags: animals, janod, kids-games, kids-puzzles. 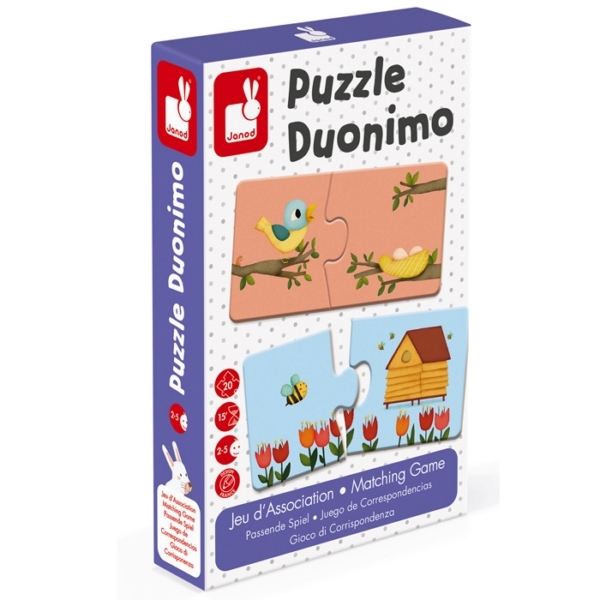 The Janod Duonimo 20 Pce Puzzle is the perfect puzzle for 2 to 5 year olds. 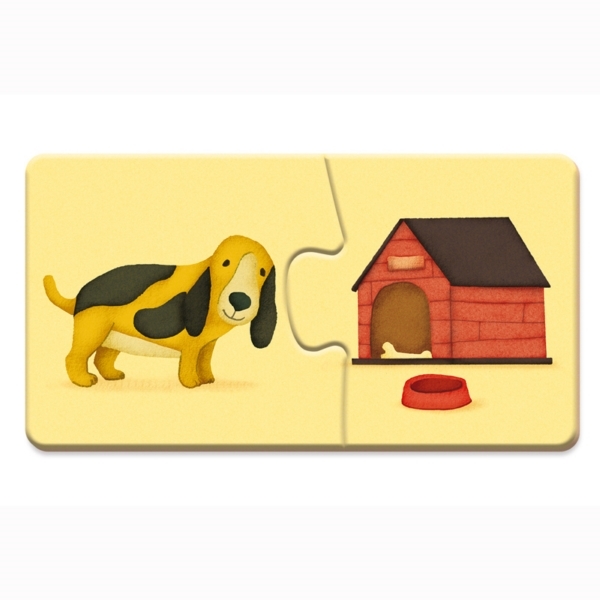 Help everyone find their homes by matching the correct animal with their respective dwellings. 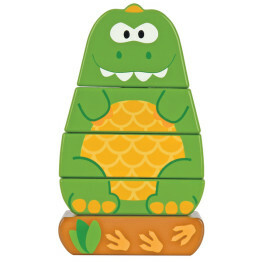 The bee has a hive, the dog a kennel, but where does the little boy live? 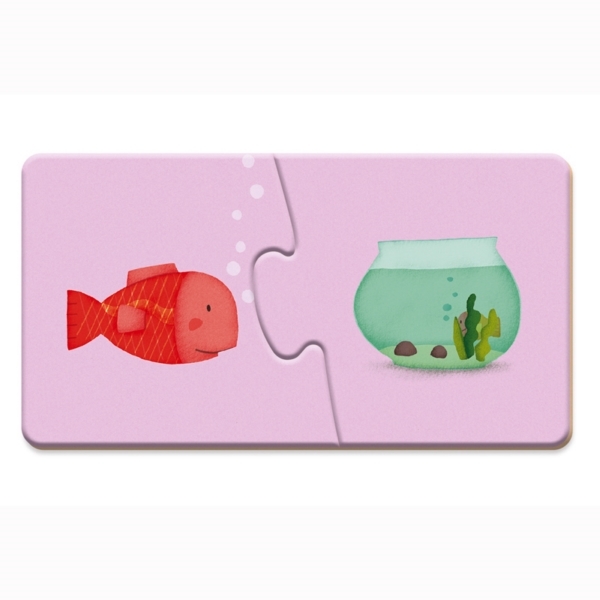 Surely not in the fishbowl! 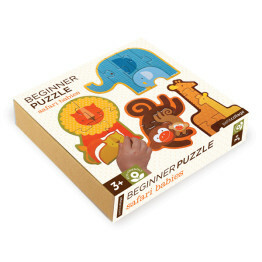 20 sturdy cardboard pieces make up the homes for 10 different animals in a jigsaw fashion. 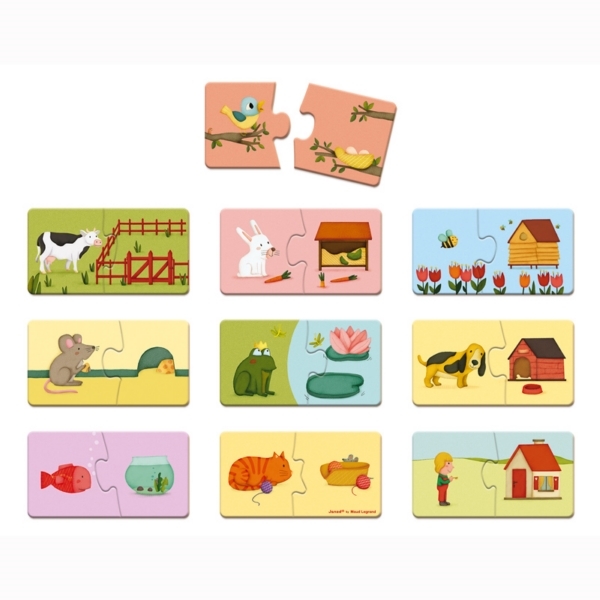 Sweet and entertaining this puzzle will help toddlers with association and they can also turn them over and play with them as a memory game to find a pair. 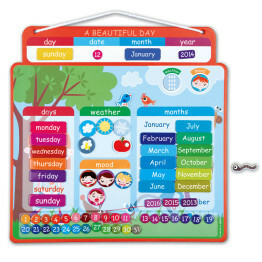 Presented in a storage box, they pack up easily and store compactly. 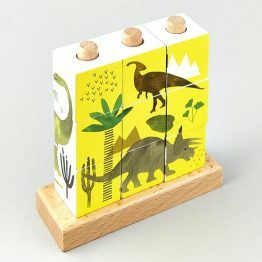 All Janod toys are designed in France and manufactured to strict quality and safety standards, meeting both European and Australian requirements. 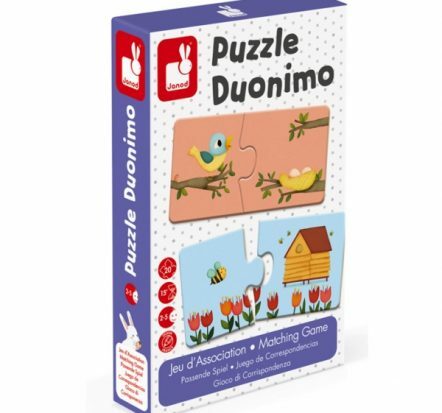 The Janod Duonimo 20 Pce Puzzle makes a great gift!